If there is one show with which in its cannonical episodes I can find absolutely no fault, this is it. This anime–one I started watching on a whim and had not planned to fall in love with–surpassed my expectations in every possible way and worked it’s way up my anime list to the top rated spot without reservation. This show is excellence wrapped into a package of enveloping darkness, necessary humor, and the building of grudging relationships that do not have to be what you’d expect in order to be satisfying. 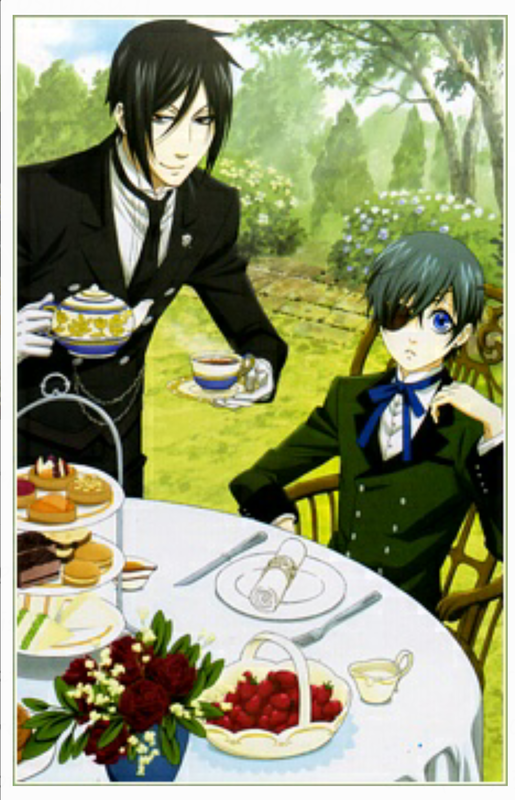 Black Butler is definitely a 10/10. I cannot praise it highly enough. Black Butler, being the epitome of anime perfection that it is, is so well crafted that shipping characters is highly unnecessary and unfitting. 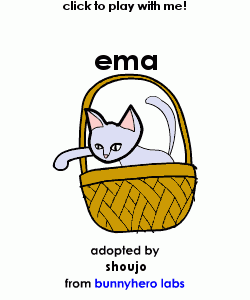 This shoujo fan (me!) unwittingly finds a ship in almost any show, so the utter lack I have for Black Butler should speak to its quality in a way that I can’t otherwise phrase. That I can so enormously and in every way enjoy a show so devoid of romance indicates its fine construction. Voice Acting? 10/10 –I watched the dub, and it was INCREDIBLE. And my sources indicate that I am not alone in my preference for the dub’s voice acting. Others seem to feel as I do that the English cast brings something totally special and necessary to the characters. This is one of the few shows where you’ll find that preference for the English version is a consensus. Because the show is, in my opinion, better if you go in absolutely blind as I did, I will not include a plot synopsis here. Instead, I will give you the canonical watch order, my watch order, and explanation. BUT SHOUJOTHOUGHTS, WHAT IS THIS SEASON 2-AND-REPEAT-PART-OF-SEASON 1 NONSENSE? WHAT IS THIS? Well, fellows, let me tell you. If your brain works like mine, this is definitely the way to go. The manga Black Butler is still running. At the time of its conception, the anime Black Butler did not have all of the necessary source material to not outpace its predecessor, and so, those episodes after season 1, episode 15 are not cannon. Those episodes were made by the anime team. And, to be frank with you, they are incredible. The team had to contrive an ending, and it was perfect. It fit in every way. I would not change a single thing. Then, wait a day or two. Let it stew. Go back to Netflix. This is when I recommend watching season 2. It isn’t necessary, but its fun. Take a break if you want. I didn’t, but you might. If you don’t want to watch season 2, don’t. But please, for yourself, do watch all of season 1. It made me feel things. It will make you feel things. Now, on to cannon that brings back the quality of season 1 (probably because it is based on the manga! Huzzah!). I highly recommend going back and watching the first 15 cannon episodes of Black Butler first, because it is from that point that Book of Circus picks up, and if you don’t, you will probably spend a great deal of the new series trying to figure out what counts as having happened and what does not. (I mean, you’ve seen a lot of material by now!) I didn’t go back and rematch them first. I wish I had. In the future, I will. I procrastinated getting my thoughts down about this, because I wanted to do it justice, but is that even possible? Far more thoughts on Black Butler to come, definitely. More Shoujo Thoughts are Coming~~~! While I love Black Butler, I can’t watch the dub. Sebastian’s voice just isn’t right (it’s good but having already fallen for the character with one voice I just couldn’t make the switch). I recently got Book of Murder on DVD and now I’m really looking forward to watching it. Thanks for sharing. Fair enough! Everyone has their favorite voice portrayals. Dude, you will LOVE Book of Murder.